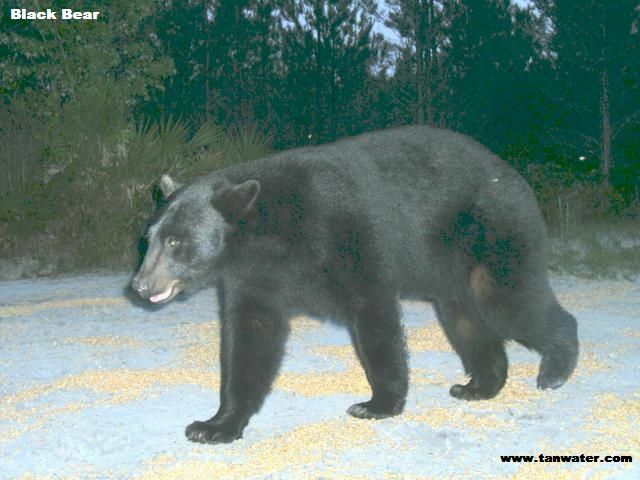 Florida black bear looking for a free meal at a deer feeder. Picture was snapped by a motion sensor operated game scouting camera at night using the flash. Click picture to return to thumbnails page.